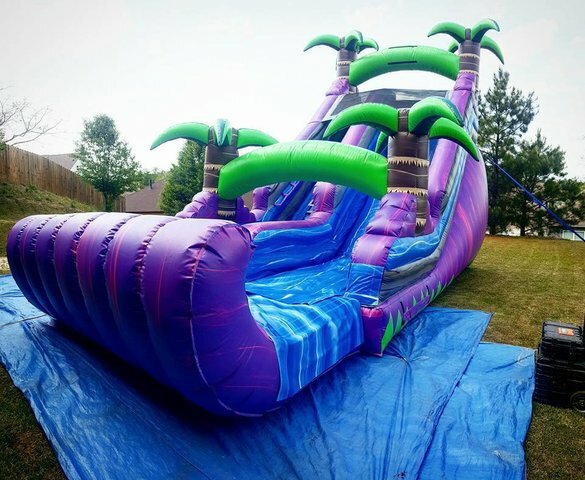 This is our 18ft purple crush tropical dry slide. This unit is perfect for any event, backyard parties, school and church festivals, and corporate events. This unit will bring the wow factor to your next event!